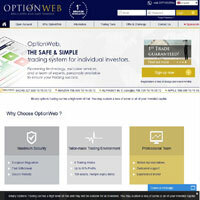 OptionWeb is a binary options specialist, providing live information, professional recommendations, learning tools and unique trading platforms to its users. There are several free and paid accounts to choose from, with one-touch trading options. The site guarantees security and high returns, with a bespoke trading environment and mobile trading options. As with all online trading services, it is possible to lose your money on OptionWeb. Live information, professional recommendations, learning tools and unique trading platforms. Let’s start by looking at the different accounts on offer through OptionWeb.com. There are two free options: Starter accounts are ideal for beginners, with 80 assets to invest in, yields of up to 83%, chat support for 4 hours a week and a withdrawal period of 5 days. You can also learn about trading tools and gain support from a dedicated manager. Starter members also receive an unconditional 50EUR guaranteed trade. Standard accounts are free, with personalised training options and up to 2 coaching sessions. This makes it ideal for a trader who knows the basics but wished to advance. Silver, gold, platinum and diamonds accounts are available for a fee, details of which can be requested on signing up. Serious investors might consider the gold account, with higher levels of personalised training and coaching sessions, with more chat support and higher yields than the free account options. The Diamonds account option provides professional trading conditions and to find out more you need to contact an accounts manager to discuss its benefits. 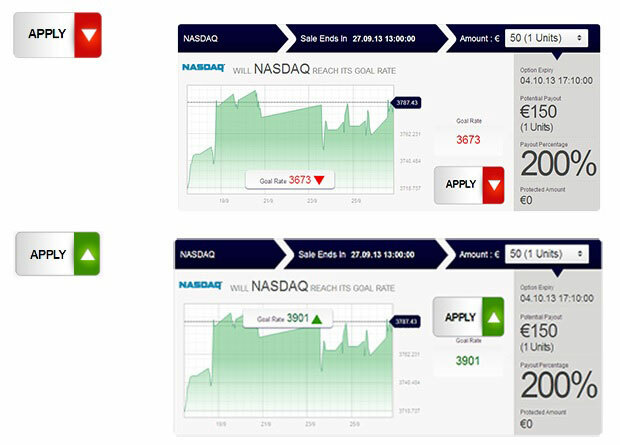 Simplified binary options trading using OptionWeb’s one-touch tools. We were particularly interested in the one-touch options available on Option Web. These are options through which you receive a profit once an asset has reached a particular pre-determined value. They’re simplified versions of binary options, in some ways, as you just agree to the terms and sit back. There’s no need to choose things such as expiration dates or trends, as these are already decided. They are particularly attractive to traders dealing in raw goods and Forex markets. Several useful trading tools are freely available, including e-books, daily news updates, daily reviews, an economic calendar, a list of available assets and prices, graphical data, market times, rates rules and expiry rates. This is a quick drop-in for useful information which can be used for binary options trading on this website or elsewhere. Make simple trade decisions based on whether a price will increase or decrease. You choose the time period and price; once those expire, you receive profit or loss based on your predictions. Rates are available in advance, so you have a very clear idea of the potential risk or profit to be made. The site offers a very simple options system, with tools to help you observe progress. You can also withdraw from deals or try to gain more profit by staying put once your deadlines are up. OptionWeb’s one-touch tools make this process even simpler, as outlined above. If you’re interested in testing the trading waters but don’t really understand the ins and outs of complex trading systems, binary options might be for you. OptionWeb provides a few useful tools and a user-friendly interface for its clients, making it a good broker for new traders.